The DAVIS SHAKY FISH has a 35 year history, beginning in Southern California in the early 1970s. John Waters, the inventor of the Original Scrounger swimbait, created it to be an inshore saltwater swimbait. Rig your favorite soft plastic swimbaits, craws, or grubs with the DAVIS SHAKY FISH for a tempting presentation that works on a number of different species. Incredibly easy to fish and virtually snag free, theDAVIS SHAKY FISH is perfect for the novice and incredibly effective in the hands of a seasoned angler. Handmade and built in the USA, the DAVIS SHAKY FISH can be worked with a slow, medium, or fast retrieve to create a realistic action that is full of vibration. Put your favorite trailer on the DAVIS XSWIM UNDER SPIN, the latest new hand built and custom painted baitfish imitation lure, and bounce it around those schooling bass and hang on. Can be used as a vertical jigging bait or cast and retrieve. We recommend the new XSWIM MINNOW, give it a try and it will be your new favorite lure. The DAVIS XSWIM UNDERSPIN SS, with a new minnow head, a skirt retention ring, and the new trailer keeper that that holds the resilient Davis Minnows and XSWIM Swim Bait Minnows. These custom painted baits excel in the vertical jigging and cast/retrieve situations. This bait will quickly become your new favorite lure during the schooling bass seasons when they are slow to hit the usual topwater presentations. Dressed with your favorite skirt and trailer options, these are killer baits. The DAVIS XSWIM MINNOW was developed for use with the XSWIM UNDER SPIN, XSWIM SWIM BAIT HOOKS. This makes the XSWIM MINNOW very versatile in both technique and level in the water column. 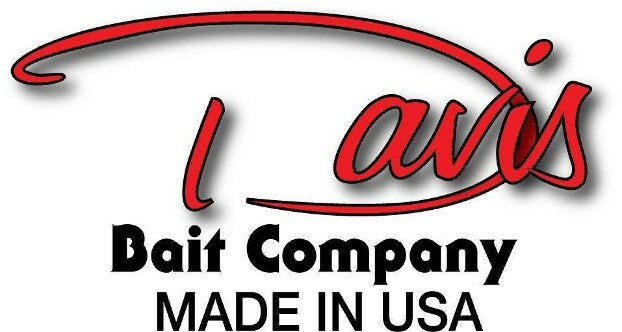 Each bait is hand poured and custom hand painted, made in the USA. 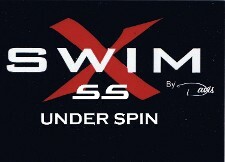 The XSWIM LITTLE WILLS SWIM MINNOW were designed to be fished with the DAVIS SHAKY FISH and the DAVIS XSWIM UNDER SPIN. It may also be fished with the XSWIM WEIGHTED HOOK or the LITTLE WILLS JIG HEAD. The XSWIM LITTLE WILLS SWIM MINNOW is hand poured which gives it a shimmering and quivering action like a real minnow and comes in five fish catching colors. The DAVIS SHAKY MINNOW is your answer when fish want a smaller offering or when the bite gets tough. Available in several baitfish color patterns, the SHAKY MINNOW quivers and kicks with every rod tip snap or shake. For best results, try rigging the SHAKY MINNOW on a darter head jig or dropshot rig.